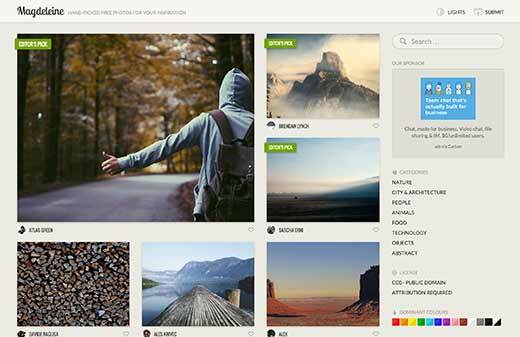 Many WordPress themes are now coming with full screen, parallax, and multiple backgrounds support. Due to this web design trend, one of our readers asked if we knew of resources to find high quality background images. In this article, we will share how to find free and beautiful background images to use on your WordPress site. Note: If your theme does not have a full screen background support, then you can use our tutorial on how to add a full screen background image in WordPress. All images on the web are protected by copyright laws. Even when no copyright is mentioned, you should automatically assume that it is copyrighted. 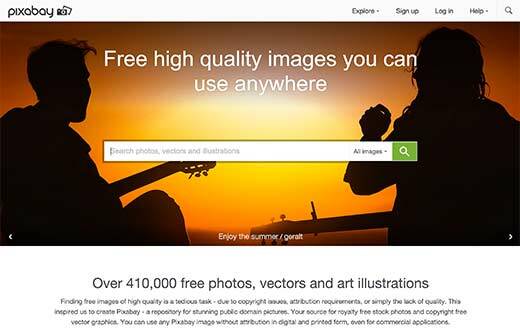 There are several places online where you can find free images that you can legally use on your websites. Since background images usually cover the entire screen, you need to find really large images. Now you can surely resize and make images larger, but this will result into some quality loss which is noticeable for large images. Ideally, you should look for images at least 1920px wide and 1080 pixel in height. For better results, you should try even larger dimensions. Remember, resizing an image to make it smaller is a lot easier, and you can do it without quality loss. If your WordPress theme recommend background image sizes, then you can ask your theme developer to learn what sizes they recommend to be used. 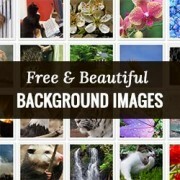 Having said that, lets take a look at some cool places to find free beautiful background images. Formarly known as stock.xchng, freeimages.com offers a huge collection of free stock photos that you can use as background images on your WordPress site. Images are organized in categories and the site has a pretty decent search feature as well. 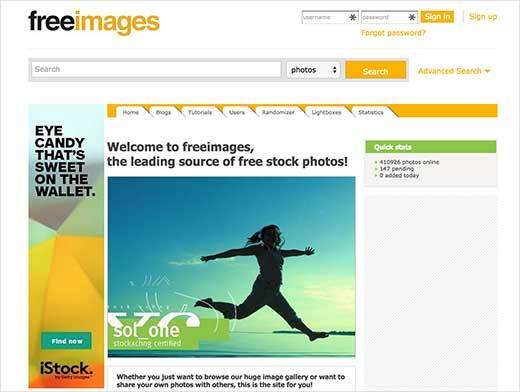 An easy to browse site with categories and search, StockPhotosforFree.com offers a large collection of high quality images you can use royalty free on any web projects. 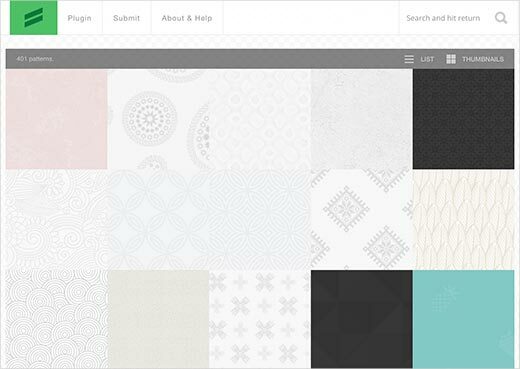 Subtle Patterns is a beautiful resource offering free textured patterns. These patterns are not too loud which makes them perfect for web pages. The collection can be browsed by tags like dark, light, paper, stripes, etc. You can also buy Subtle Patterns plugin for Adobe Photoshop to use these patterns in your own PSDs. Fun fact: We’re using one of the patterns from Subtle Patterns in our background. 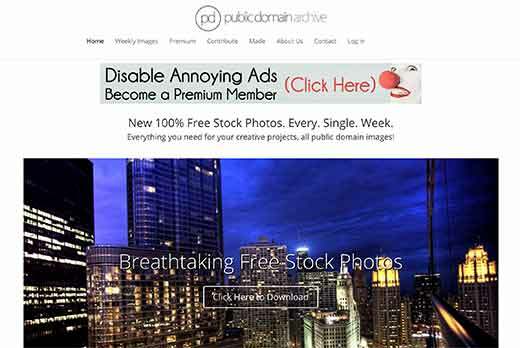 As the name suggests, Public Domain Archive shares photographs and images that are in the public domain. This means you can use these images in your own projects. 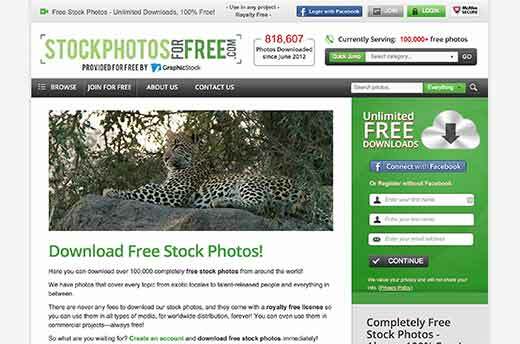 The images are categorized so you can browse the archive to find the perfect photo to use as your background image. 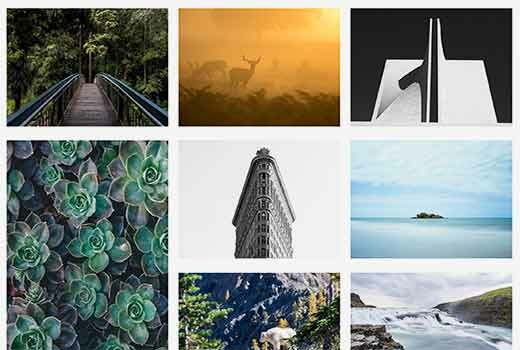 Unsplash offers free high-resolution photos that you can use in any way form possible because they’re under a CC-0 license. The site releases 10 new photos every 10 days. 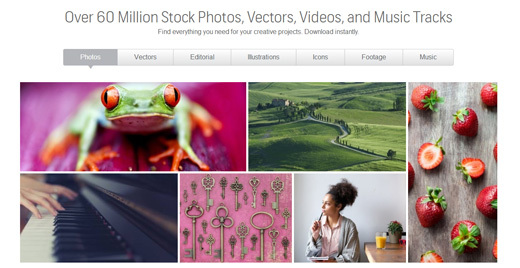 Picjumbo offers a large collection of free stock images. The collection can be browsed using categories and tags. The site also offers a nifty search feature. All images on the site are high quality and can easily be used as background image on your WordPress blog. 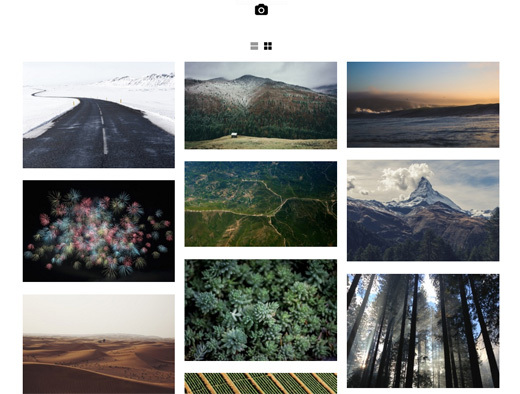 Magdeliene is a hand-picked collection of beautiful free stock images. You can browse images by categories, tags, or by choosing a dominant color. Browsing by color is a very useful feature when you want to find an background image that compliments rest of your color scheme. Pixabay has a huge collection of stunning photos, images, and vector graphics that you can use on your projects for free. 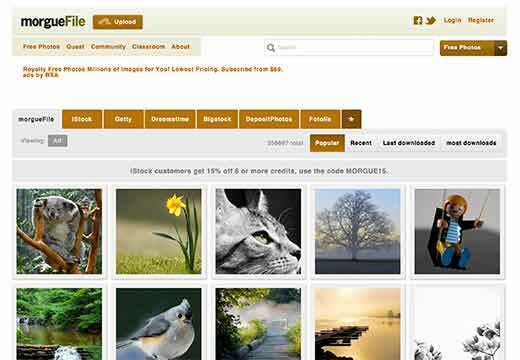 Images can be browsed by categories, or by editor’s choice. MorgueFile is a another curated collection of free stock photos. The site is fast which makes it easier to locate images. Some images on morgueFile require attribution so do check the images before using them. Shutterstock is not free, but it’s definitely worth a mention here. Their library of photos, vectors, and illustrations are just phenomenal. We’re a paying customer of Shutterstock and can vouch for the quality of images. 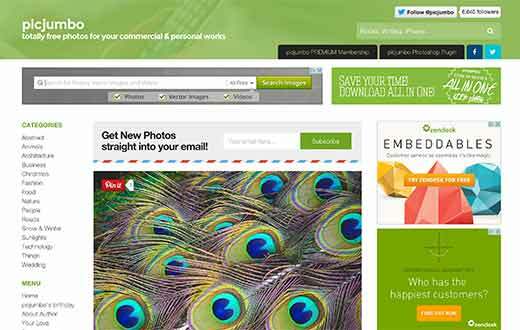 We hope this article helped you find beautiful background images for your WordPress site. You may also want to see our guide on speeding up WordPress by saving images optimized for web. Wow! Can I say it again? Wow! You guys have outdone yourself this time. I have just spent a couple of hours just on your first link alone finding GREAT free images for my niche. I always use your site tips and tutorials, but this article blew me away. Thank you for all of your help. Great article! I wanted to point out to you that #6 has a typo. The title says Pickumbo, but should be Picjumbo. Thanks, we have fixed the mistake. Thanks for this curated list. It’s very helpful. I would also like to know where to find graphics or illustrations. I love the images of space, or little towns or countrysides but I’m not where sure where to find them.